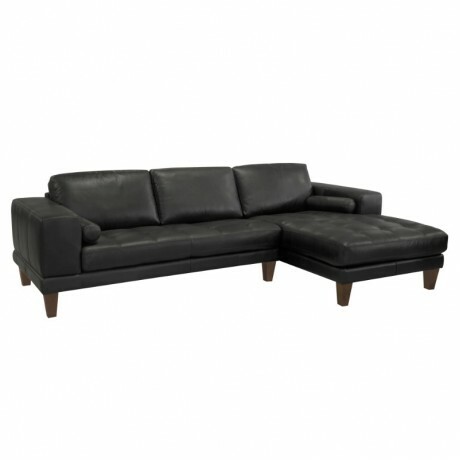 Description: The Armen Living Wynne contemporary genuine leather sectional retains the stylistic elements of the Wynne sofa while featuring an extended corner piece that is certain to provide comfort and enhance the beauty of any modern dwelling. 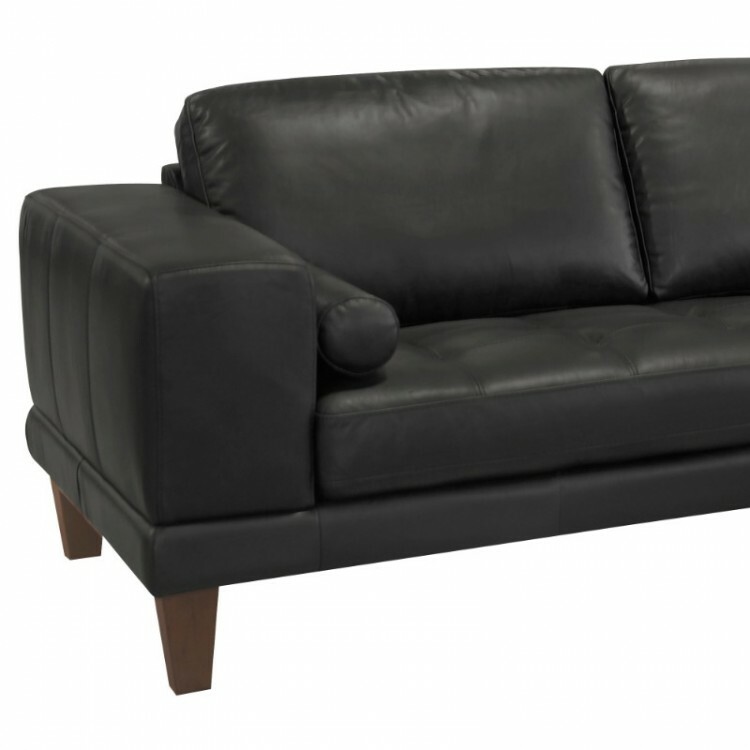 Sporting a beautiful genuine cowhide leather outer shell supported by Dacron fiber padding to prevent wrinkles and cracks, the Wynne sectional is a terrific choice both in terms of durability and comfort. 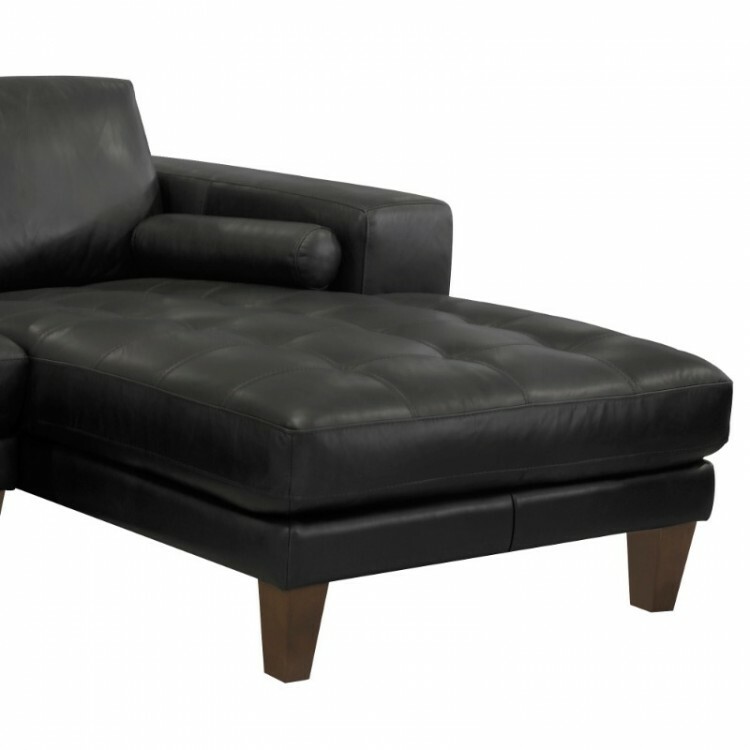 The Wynne's sophisticated design includes a tufted seat and elegant brown hardwood legs, presenting a traditional aesthetic with a contemporary spin. 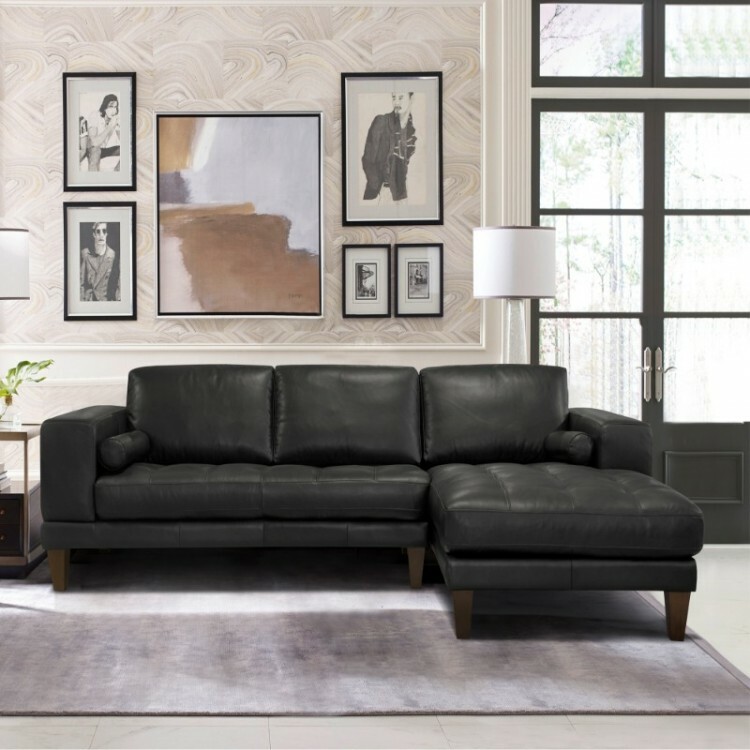 The two cylindrical throw pillows included with the Wynne provide additional comfort and support while further accentuating the beauty of this modern sectional. The Wynne sectional is ideal when coupled with the rest of the pieces in the Wynne collection; sofa, loveseat, and chair. 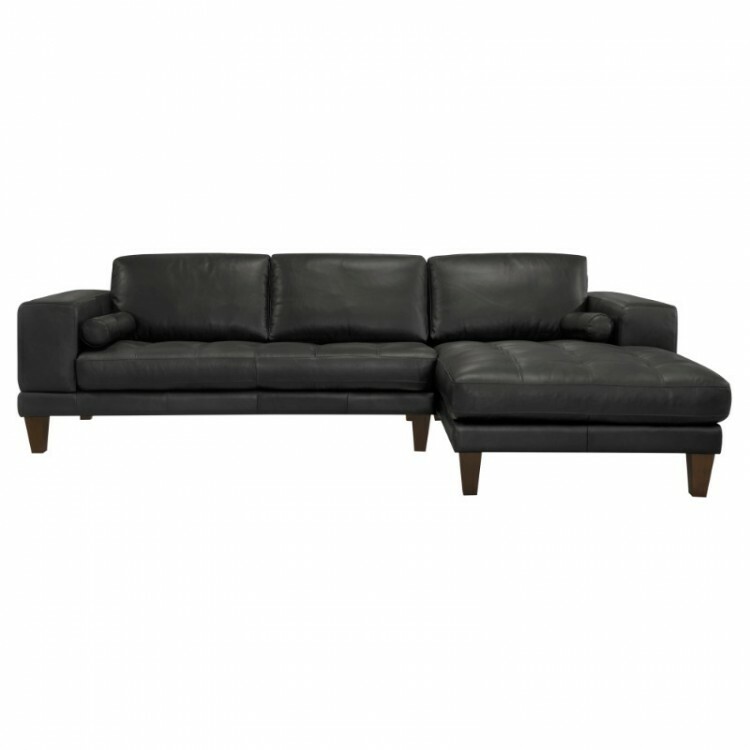 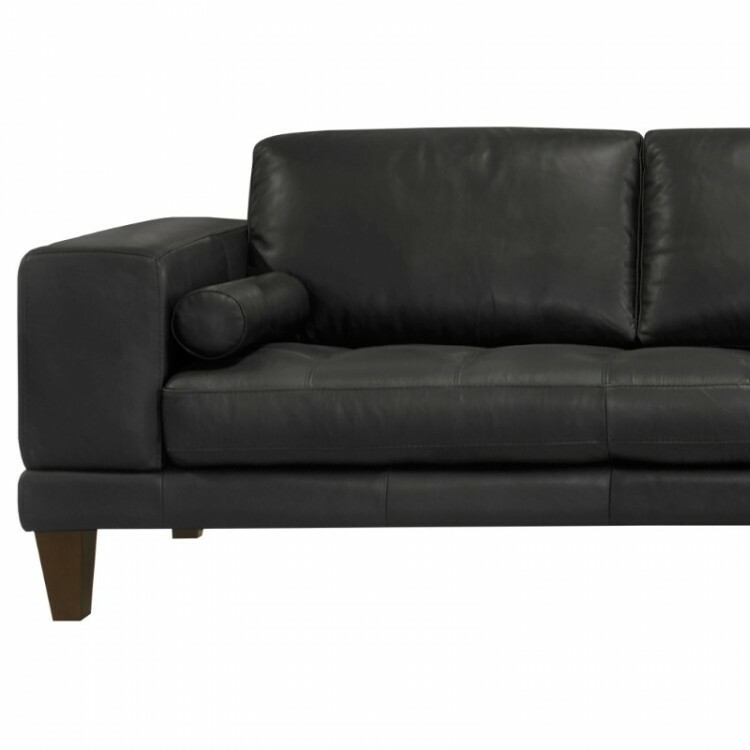 The Wynne sectional is available in rich black genuine leather.